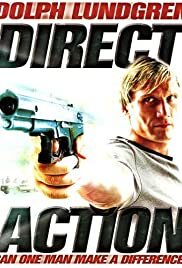 Dolph Lundgren is one of my favorite B movie actors, so when I got a chance to see his movie "Direct Action", you can be sure that I took it. In this movie, Lundgren is in fine form, giving a likable and relaxed performance, and giving it his all in the action sequences. 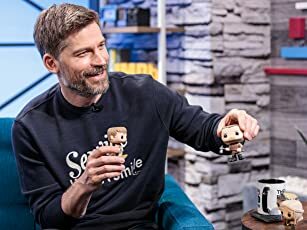 Unfortunately, the script and direction he was working with are disappointments. The script has a number of plot holes (if Lundgren's character wants to testify, why doesn't the prosecution give him some protection? ), and has a number of twists and turns that will be very familiar to those well versed in B movies. And while Lundgren gives it his all in the action sequences, the action is directed and edited in a way that never rises above routine. The most striking thing about the entire enterprise is its strange setting. While Canadian director Sidney J. Furie makes no attempt to hide Canadian license plates as well as Canadian businesses like Mr. Sub and Swiss Chalet, at the same time there are a number of references to American things like the FBI and the CIA!